Join us for nour final event of 2018 - it's going to be a good one! 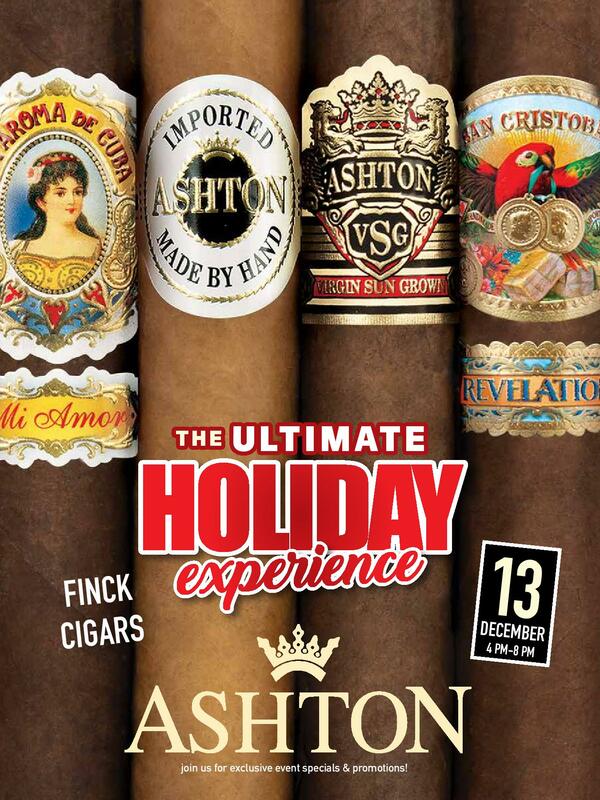 The Ashton Ultimate Holiday Event brings the greatest deals of the year from the Ashton family of brands including La Aroma De Cuba and San Cristobal cigars! 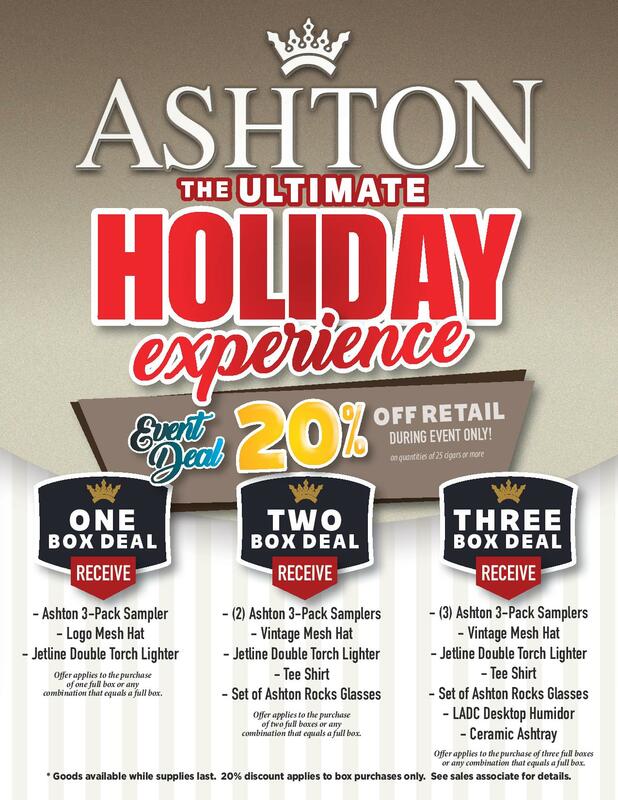 We'll have the infamous Chip Goldeen along with manufacturer's representative Matthew Sas in the store from 4 to 8 PM with discounts, free cigars awesome swag with your purchases! The more you buy, the more you get so come early, stay late, and stock up your humidor with some of the best cigars in the business!